Sometimes, all we need is a break from our day-to-day schedules to feel rejuvenated and refreshed. Weekend getaways are a great way to see new places and try new things without traveling far from home. When you’re looking for the best weekend getaways in New Mexico, we have you covered. We want to make sure each and every one of our guests get the most out of their family vacations or romantic getaways, so we’re happy to share a long list of ideas for things you can see and do while you’re here. Just to get you started, here are some of our favorite things to during your weekend in New Mexico. Interested in even more ideas for your weekend getaways in New Mexico? Then you won’t want to be without our free Chimayo Vacation Guide. It’s filled with all the best activities and attractions in our local area. It’s the only thing you’ll need to plan the ultimate romantic getaways in New Mexico or relaxing escapes with you and your family. 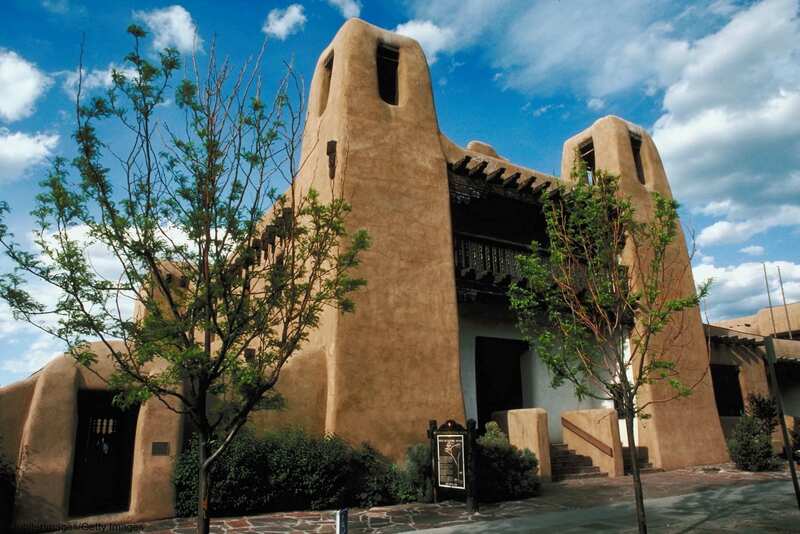 Santa Fe is the prime area for a quick, action-packed, and de-stressing trip. It’s Pueblo-style architecture, rich history, and vibrant culture provide numerous options for things to do and see. The best way to immerse yourself in Santa Fe is to get to know it first. Santa Fe offers a guided tour to meet nearly any preference. Here is a list of our some of the most popular. Historic Walks of Santa Fe- Once featured on Good Morning America, this awesome historic tour will take you on a customized trip to Santa Fe’s top attractions. This is a must for one of your weekend getaways in New Mexico! New Mexico Wine Tour- For vino lovers, there is also a variety of wine tours that will introduce you to some of Santa Fe’s best wineries! You’ll experience the country’s oldest wine-producing state and taste some of its most delectable selections. If you love wine and adrenaline rushes, you’ll want to check out their Rafting then Wine Tour! Santa Fe Walkabouts- Enjoy the best of Santa Fe’s natural scenery by hiking through the national forests, biking, or 4×4 adventures! It’s a great way to get out of the busy city and enjoy nature at its finest. This quiet New Mexican city is built upon many old stories and legends. Discover another side of New Mexico as you visit the fabled El Santuario de Chimayo and uncover why thousands of pilgrims travel there each Holy Weekend for a handful of Holy Dirt. Chimayo is also a great location to find unique gifts and souvenirs. The El Potrero Trading Post sells bona fide produce, spices, artwork, and religious articles. If you’re looking to spice up your wardrobe or home, Ortega’s Weaving creates personalized and traditionally woven garments, rugs, and blankets! New Mexico is home to some of the nation’s most respected restaurants in the nation. During your visit to Santa Fe, you’ll find a variety of flavors, cuisines, and restaurants to delight in, so whether you want to surprise your significant other with a romantic candlelight dinner or a fun and unique casual meal, you’ll have plenty of options to choose from. Also, the Rancho de Chimayo is an absolute must! Located just minutes from our Chimayo bed & breakfast, this award-winning restaurant has been credited with playing an integral role in bringing authentic New Mexican foods into the international spotlight. We hope you’ve saved your appetite for tasty dishes such as cheese enchiladas, stuffed sopaipilla, and fantastic desserts. As one of the top hiking destinations in the U.S., northern New Mexico never fails to impress both avid and beginner explorers alike. There are literally dozens of hiking trails to choose from with miles upon miles of wilderness just begging to be discovered by you. Here are some of the most popular that you won’t want to skip. Dale Ball Trails: Located in Santa Fe, this network of trails stretches nearly 23-miles long. You could spend all day exploring the wilderness outside of New Mexico’s capital. 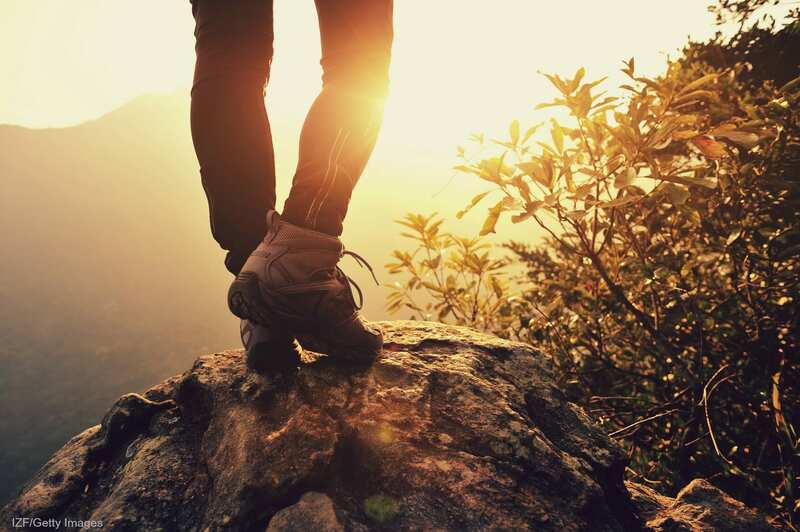 These trails are considered moderate and may not be the best choice for beginners. If you’re up to the challenge, however, we believe this adventure is ideal for Santa Fe hiking. Atalaya Mountain Trail: Winding through lovely aspen forests and wildflower fields, this relatively easy hike is perfect for a quick and fun excursion. Once you reach the top of the trail, you’ll be rewarded with a spectacular mountain view. Ghost Ranch: With 21,000-acres of picture perfect views and plenty of wildlife to admire, Ghost Ranch is a hiking destination unlike any other. Explorers will find miles upon miles of trails to discover, many of which come with spectacular views, so don’t forget your cameras! If your idea of a relaxing vacation includes shopping for the perfect souvenirs and mementos from your trip, you won’t do any better than Santa Fe! Most of the shops, boutiques, and galleries in the city are fully stocked with items you won’t find anywhere else. Canyon Road is a local favorite and a hot spot for art lovers to find incredible gifts from more than 100 art galleries. The Traditional Spanish Market (summer only) is also a grand opportunity to find rare items and authentic artistic traditions that can be traced back over 400 years. If you prefer a more quiet and relaxed setting, a visit to the Collected Works Bookstore and Coffee Shop is in order. This independent bookstore houses hundreds of publications on a variety of subjects including local travel, Southwestern history, and art. Once you find your next read, grab a hot latte and find a cozy spot to unwind and get lost in the pages. Deep in the ground of New Mexico, volcanic aquifers that hold hot spring waters are said to contain minerals with special healing abilities. Visiting these hot springs is one of the most relaxing and romantic things to do in New Mexico. Nearby Jemez Springs boasts a variety of hot springs surrounded by New Mexico’s beautiful scenery. You may also want to spend time at the Ojo Caliente Mineral Springs in Santa Fe, a natural health resort with over 11 different pools to choose from. Thousands of years ago, the Native American tribes of New Mexico, also known as the Ancient Pueblo, lived in cave dwellings carved into the mountain ranges. Today, you can still see the caves in which the Pueblo lived along with many other ancient artifacts. Some of the most popular of these spots include the Puye Cliffs, Bandelier National Monument, and the Gila Cliff Dwellings National Monument. If you have time for a day-trip, it’s definitely worth the little extra travel time to see these incredible caves and explore the monument’s hiking trails.